Shanghai is a city known worldwide and for all the right reasons. This huge Chinese metropolis hosts some of the most incredible skyscrapers, beautiful food and relentless nightlife. Our school is perfectly located right in the heart of the Old French Concessions and you will never be short of things to do at LTL Shanghai. When out of the classroom we remain busy exploring this great city. Check out just some of our LTL social events below. 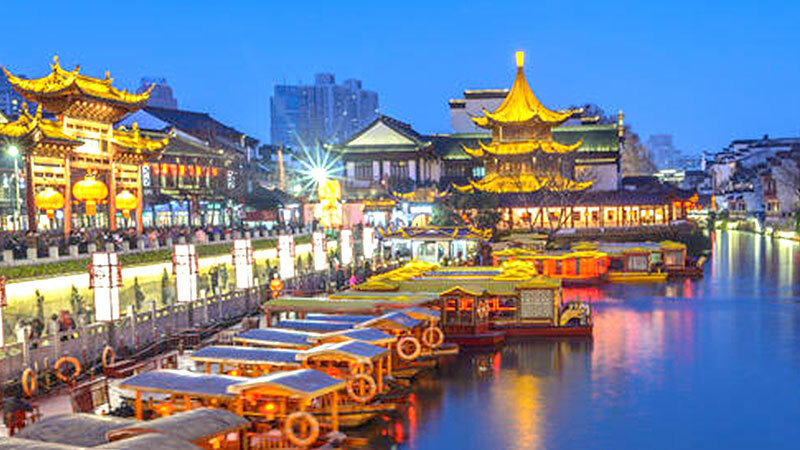 When Marco Polo came to China and marvelled about it’s amazing capital he was talking about Suzhou. The city was China’s capital back then and has a beautifully preserved old town. Today it’s known as China’s garden city. If you have ever been to a Chinese garden around the world, it was probably modelled on a park in Suzhou. With the new high speed train, Suzhou is only an hour away from Shanghai so we go to Suzhou as a day trip. We leave early on Saturday morning and come back in the evening. If you want to stay the night and explore the city more on Sunday this is not a problem and quite a lot of students choose to do so. We can help you find a hotel to stay in and book the return train ticket for you on Sunday. The cost for the return train ticket is about 200 CNY. Whether it is students against staff, Europe against North America or boys against girls, Lasertag is always uber-competitive! 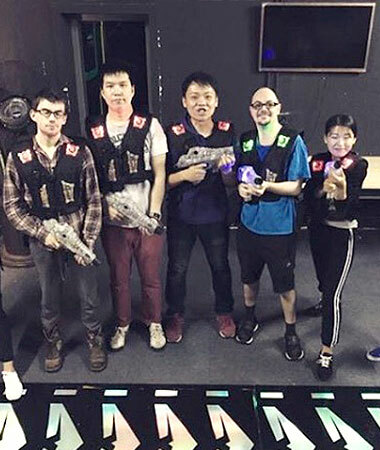 Excellent fun and this is something we like to do with teachers and students every so often on a weekend, after the adrenaline rush we will chill out, grab some food, a drink and exchange bitter verbal blows about the Lasertag performances! 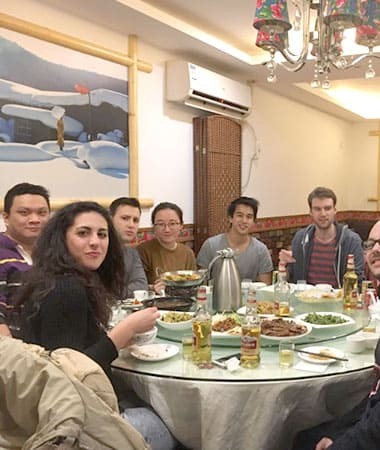 The cost depends on how big the group is, but is usually about 100 CNY per person, plus whatever we spend on dinner and drinks afterwards. Wednesday is the night of the week where we try something new food wise. We travel across China (not literally) looking for great new restaurants and as Shanghai is rather big we have got plenty to choose from each week whether it is Yunnan food, North Eastern food or Xinjiang food. Get yourself signed up for Wednesday night and enjoy some great new food. We usually leave the school together at about 6:30pm and get to the restaurant at 7pm. Friends are welcome to join too. Shanghai is the most international city in China and the nightlife is incredibly diverse because of this. Nationalities from all four corners of the planet drink and dance all night every night. Bars, pubs and clubs are everywhere you look. Shanghai shines bright at night and there are few places in the world that can match the nightlife of Shanghai. We usually go for happy hour free Friday night drinks to Leo’s after class to start the weekend and head to a club afterwards. Drinks at Leo’s are often free for LTL students and if not they are always very reasonably priced. Please note though that some of the famous clubs in Shanghai can be pretty pricy for both drinks and cover charges. However, we are very good at finding promotions for new places that just opened, happy hours and other special deals, so if you want to have fun without breaking the bank, make sure you check our notice board regularly. As great as Shanghai is we all need some time to relax and chill out with a takeaway and a movie. We have a projector with speakers set up at our school that we use to watch movies together. A Chinese movie with English subtitles is generally the order the day, every chance to practice your Chinese, right?! Movies at our school are free of charge. And don’t forget that we serve free beer at LTL after 5pm. At the language mix people “exchange” and practice their languages with each other. Exchange English for Chinese, German for French or whatever works for you. 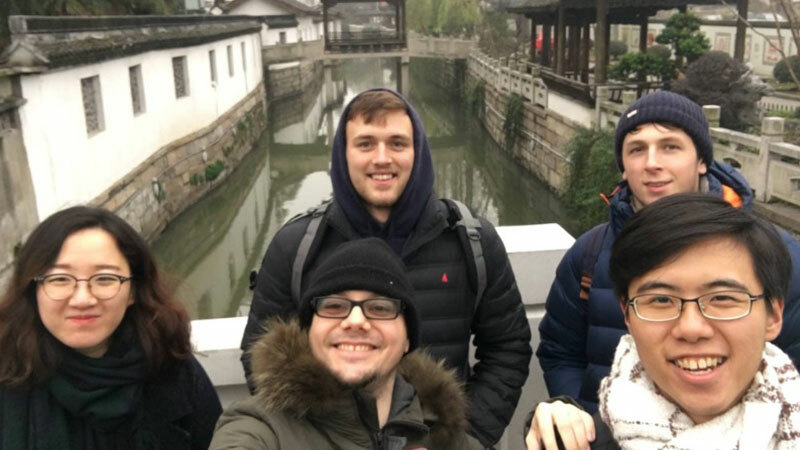 LTL students of course go there mainly for practicing their Mandarin but there will also be plenty of people learning a wide variety of other languages. Language Mix takes place every Sunday afternoon in a bar close to the school and entrance for LTL students is FREE. There is generally a good mix of languages on offer and the atmosphere tends to be very relaxed. Nanjing was China’s capital during the Ming dynasty, before the emperors moved up to Beijing. After the Qing dynasty’s fall, Nanjing became China’s capital again and remained so until the communist take-over in 1949. 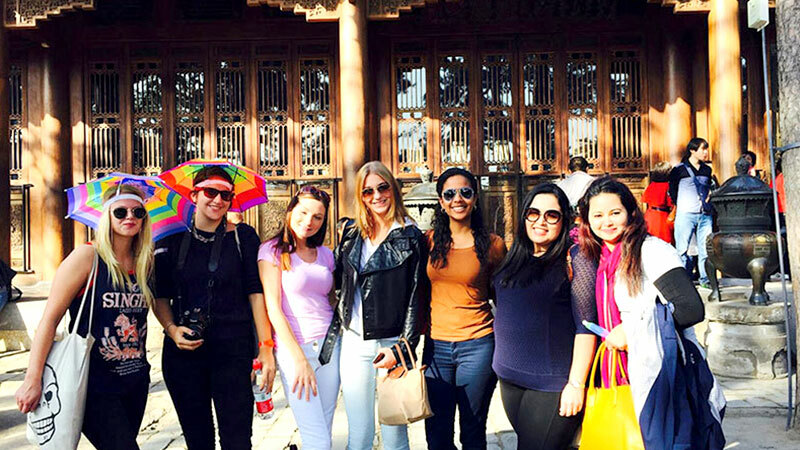 The Ming tombs, the old city wall, and the Nanjing Massacre Museum are all a must visit. Due to the large number of places to see, we usually do this as a two day trip, leaving on Saturday morning, coming back on Sunday evening. Nanjing is only an hour from Shanghai by high speed train and the cost for a return ticket is about 250 CNY. We will decide together what kind of hotel we want to stay in, so prices for the night will depend on that. Most of the sights are free, but there is a small entry fee for the Ming Tombs. 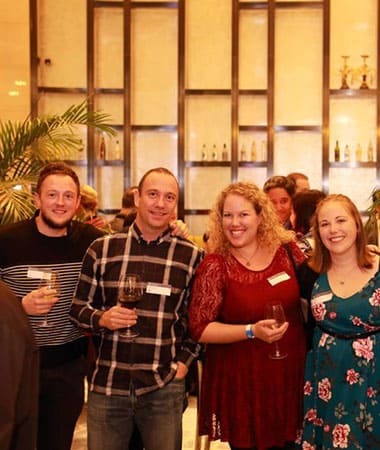 Internations is a group of like minded people looking to make new friends and connections. 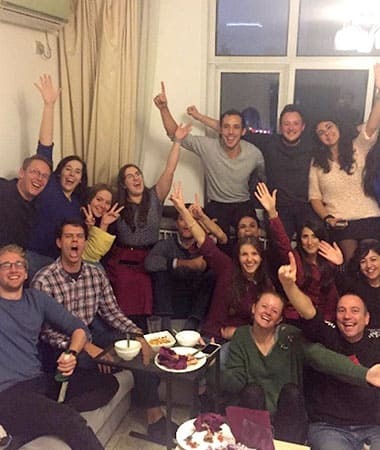 It is a brilliantly simply way to make a whole new bunch of friends in one evening. Normally over 100 attend each event every other Friday at a swanky, local bar. Exchange stories, contact details and let your hair down. When an event is on we usually leave the school together at about 6pm. Sing long into the night at Karaoke (KTV). 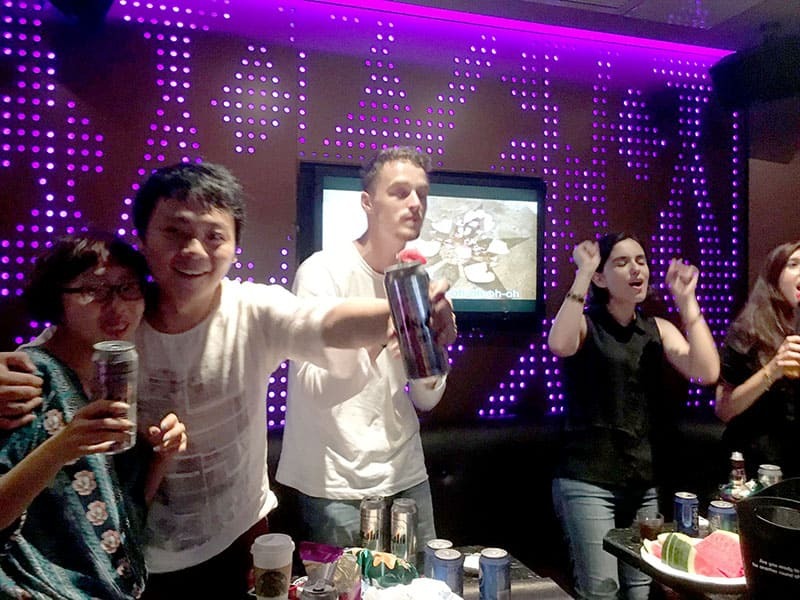 Foreigners and Chinese alike genuinely love visiting KTV and we understand why. The venues inside are pristine and you can do your shopping for food and drinks inside the building before being whisked away to your room which is kitted out with everything you need for a crazy night. 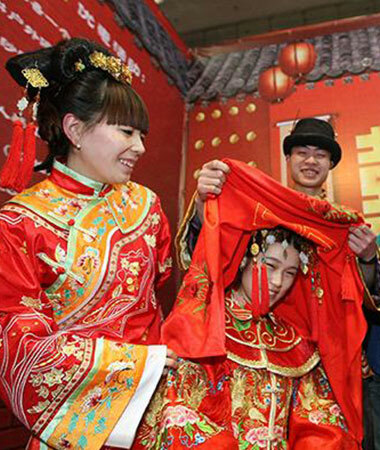 You can show off your Chinese and sing a local song or stick to the more famous foreign songs. We usually go for KTV either for the Wednesday mini weekends after dinner or on a Saturday night. The cost for the room is fixed so how much it is per person depends on how many we are. It is usually not more than 50 CNY each, though that does not include your drinks and food yet. Night markets are an excellent way to explore local Shanghai at night. Food, drink and bargains are plenty everywhere you look. 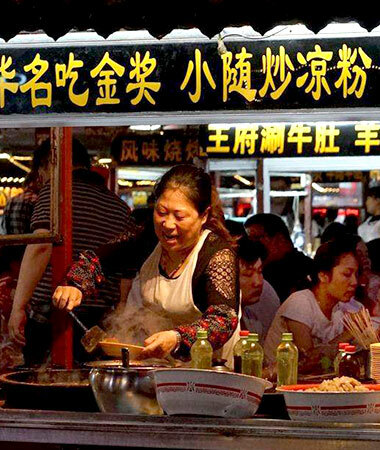 Shilin night market is a culinary journey through China that is hard to find anywhere else. The market is full of little stalls and restaurants selling different kinds of Chinese cuisine with a very energetic atmosphere. We have several favorites we usually go to but sometimes also just try out something new too. The night market is usually part of the Wednesday mini weekends and we leave from the school together at 6:30pm. We share the cost for the meal, which is usually about 60 CNY per person. We say visit a museum but that is incredibly broad. Shanghai boasts a plethora of them and they are all well worth a visit. Shanghai Auto Museum, Shanghai Film Museum, the China Maritime Museum… the list goes on. We visit different ones to keep things interesting. As they are closed in the evenings this is always a weekend activity and we usually meet at the school around lunch time on Saturday, spend the afternoon visiting the museum and afterwards go for dinner together. Cover charges for museums vary, but are all quite reasonable usually ranging from 10 to 50 CNY per person. 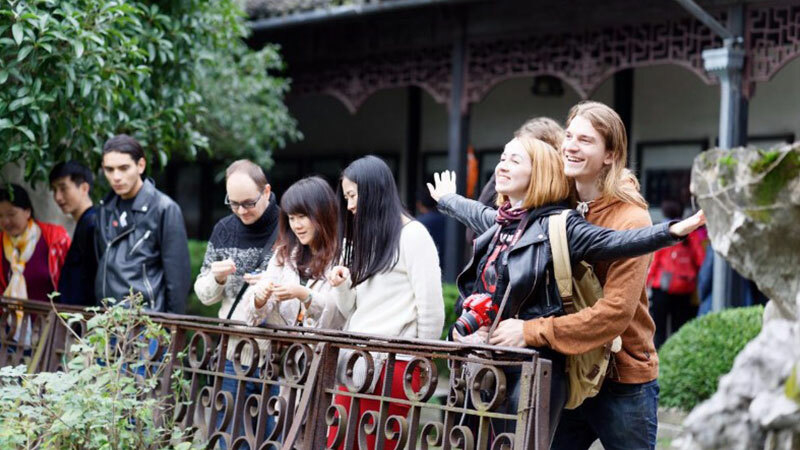 There are so many local trips we can enjoy in Shanghai. Sometimes we like to dedicate a weekend away somewhere local or maybe we’ll spend a Saturday exploring Shanghai and its suburbs. There are too many to mention for just a few sentences so come along and see in our Gallery. Our weekend trips can be for a half, full or two days and are always free of charge. Everyone just pays for their own transport, food, tickets etc. The Propaganda Museum in Shanghai is a fascinating visit. This is a private collection of over 5,000 posters from the communist area and an amazing experience. Despite it’s fairly small size we believe this is a must visit when going to Shanghai. There is also a gift shop on site as well, plenty to look at and plenty to purchase! If you like your posters, or are intrigued with Chinese culture then we recommend you pay a visit. As the museum is only open during the day time, we go to the propaganda museum as a half day weekend trip. The entrance fee is 50 CNY. 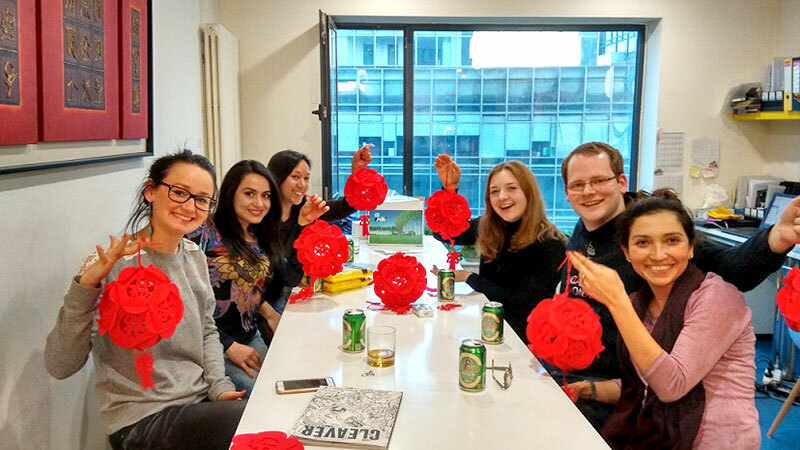 Shanghai LTL Lunch Club takes place every Thursday. It is a chance for us all to order in some food together in between lessons and get to know each other a little better. Each week we will order something a bit different. 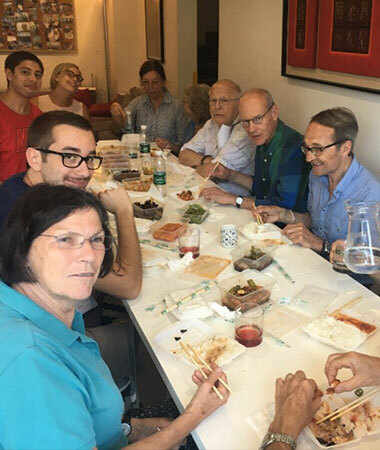 Practice Chinese, share your China stories or simply just get to know one another from 12pm-1pm every Thursday. We share the cost, which usually works out at about 25 CNY per person. Probably Shanghai’s most famous image. 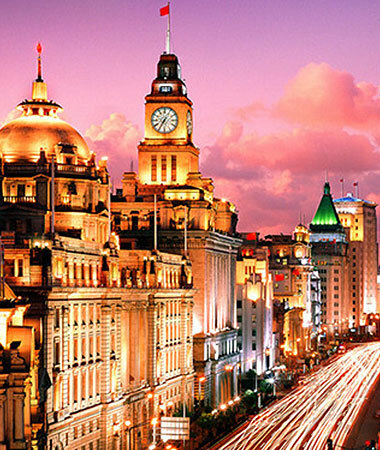 The Bund is an incredible waterfront area where old meets new. It used to be the skyline of colonial Shanghai, with towering buildings built in a time when Shanghai was considered the “Paris of the East” and the city was dominating trade and development in Asia. Today the old colonial buildings are very well preserved and from here you have an amazing view of Shanghai’s new skyline in Pudong on the other side of the Huangpu river. There are skyscrapers everywhere you look. The towering Oriental Pearl Tower is the highlight for many. Getting a drink in one of the roof tops of the Bund and watch the boats pass by on the Huangpu in front of one of the world’s most impressive skylines is an amazing experience. Quite simply a 5 star, must visit area in Shanghai. The Bund is only a few subway stops from our school and we usually leave at 18:30 from the school to be there in time for a walk, dinner and then drinks. Costs are split and depend on where we go. Please note though that costs for food and drink at the Bund can be a bit higher than other areas in Shanghai. This is a fascinating place to visit and sounds as every bit as bizarre as it is. The main point of the marriage market is for parents to find a suitable partner for their child. Yes, that really does exist. Do not worry, we will not be selling you off, we will simply go there and take in one of the most unique markets you will ever attend. It is basically a huge congregation of elderly Chinese who created little “CVs” for their children, swap profiles and try to set up dates for them. When you meet younger Chinese friends you might hear a few stories about having been sent on one of these dates by parents. It is a fascinating place to visit. The marriage market is at its best on Saturday and Sunday morning, so that is when we go there. Entrance is free. Indoor or outdoor Ice Skating together is great fun. Whether you are like bambi on ice or a pro it always goes down well with our students. Wrap up in the colder winter months and hit the ice for an afternoon of fun with LTL. There are plenty of potential venues to go skating, we try a different one out each time. This is an afternoon activity and we usually meet at lunch time and then go ice skating together. Like with pretty much all LTL activities we go for dinner and drinks afterwards. 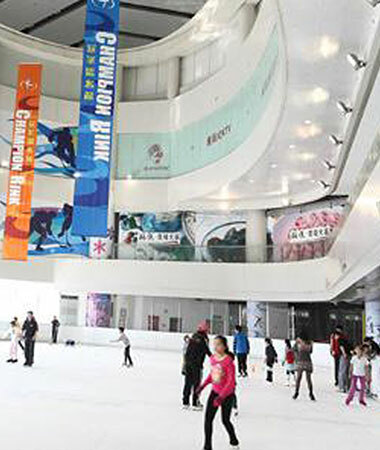 The cost for the skating depends on the place we go to, but is usually about 50 CNY per hour of ice skating. It is not just Beijingers that get to sample the famous Roast Duck! There is plenty of it in Shanghai too and we won’t be missing out just because of our location. 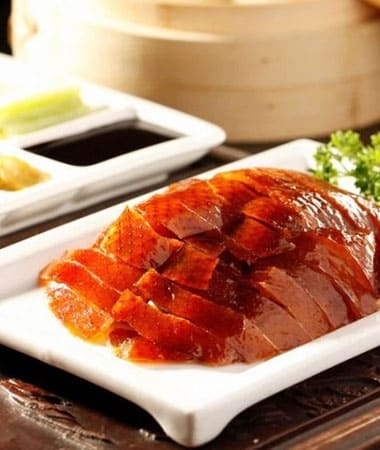 Roast Duck is one of the most popular dishes among students so you’ll be sure to sample some, don’t you worry. We usually go for Beijing Roast Duck dinner as part of our Wednesday mini weekends. We share the cost of the food and drinks, which usually comes to about 100 CNY per person. Like with all LTL dinners we always order also order plenty of vegetarian or vegan friendly dishes so everyone is welcome to join whatever your food preferences. 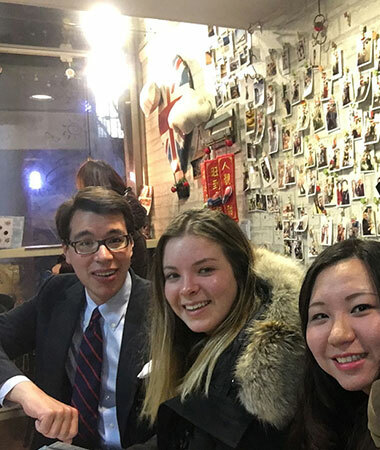 Leo’s bar is somewhat a famous tradition for our Shanghai students. Located right next to the school you can roll out of Chinese class and into Leo’s bar for a drink and some food. We go there pretty often and we imagine you’ll be visiting a lot as well to the point where staff know you by name and know what your favourite tipple is! Usually staff and students go together and our regular Leo’s night is Friday. However, some of our most dedicated students have been known to go there pretty much every night of the week. The pizzas are great too. A beer at Leo’s costs an unbeatable 10 CNY and during happy hour it is buy one get one free. At LTL we are more than just a school. We manage to create a special connection between students, staff and teachers which makes life outside of the classroom a lot of fun for everyone. 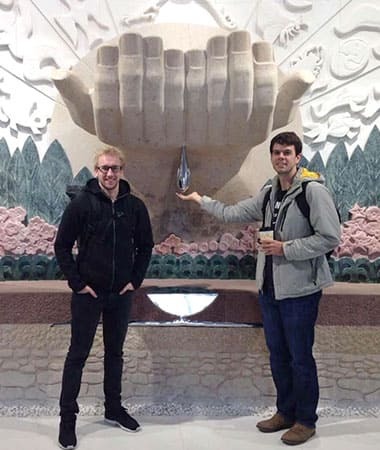 Friends are made for life and many students end up coming back to LTL for further lessons in the future. 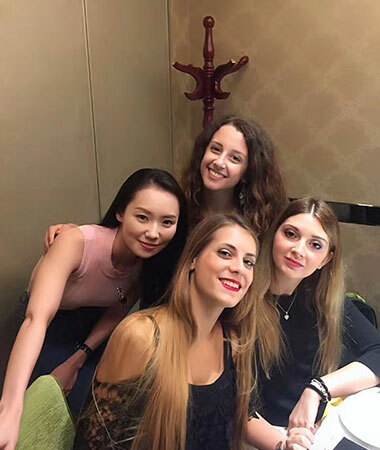 In Shanghai we have at least three regular events each week, the infamous “mini weekend” on Wednesday nights, the Thursday school lunch and a weekend event. Additionally, Friday nights at our “school bar” Leo’s, just a five-minute walk from LTL are a permanent fixture for most students and staff. The place already serves some of Shanghai’s cheapest drinks and as regular customers we get a lot of drink vouchers and special discounts there too. Leo’s is a great way to start – or finish – a Friday night on a student budget.